In serving in the university ministry, I learnt the pain of leadership through one of the significant events of my life. It began in 1996 when the concept of 'pastoring the city' was birthed around the world. Our local version is 'pastoring the campus'; led by my respected pastor. Not long after, I was then raised to a leadership position to replace my pastor. I experienced intense struggles and pain as I went through during those years of leadership. One of the difficult times I went through was to have to deal with unteachable leaders. One would most likely hear this from an unteachable leader :"You're a leader, I'm also a leader. You have your way, and I have mine." The frustration comes when the whole group becomes stagnant when there is an unteachable person in the group. I was not discouraged though. I continued to believe in God's directions, but I ultimately had to take a longer period of time to fulfil the dream for God, because of the presence of unteachable people in the group. I strongly believed that the "Kingdom of God is advanced by forceful people". This pushed me to 'beat' my own body to the limit, causing my health to deteriorate and it came a time when I had to be hospitalised; I am not suggesting others should follow my radical lifestyle. I had a very challenging experience during those times when I was sick with a weak voice. I had to deal with a leader who was extremely unreasonable, accusing me of not showing enough care and concern, and demanding that I meet her to answer the many questions she had. I was totally drained, especially when I was without my voice and had to resort to answering all her questions in written form. The lack of understanding from the lady was disappointing. Unreasonable people would often say, "You are a leader and you need to solve my problems, and you need to solve it NOW!" Many people were unable to take care of their problems themselves and pushed the responsibilities of their problems to their leaders. Pilate's wife warned him about the innocence of Jesus, but he acted unreasonably by allowing Jesus to fall into the hands of the people. The people were acting unreasonably too by choosing to release Barabbas and not Jesus. Without thinking, they spoke, "Let his blood be on us and on our children" and the consequence of this is that the Jews became a very persecuted population. Unreasonable acts and words can lead to God's judgment and serious consequences. I strongly urge everyone to not only be reasonable but also to be careful in what we say and to take up responsibility for our problems and words. An ungrateful person will complain, "You never do anything good for me! ", after having received all the blessings. Ungrateful people will receive all the blessings and will not attribute their successes to their leaders. However, when things go wrong, they will blame their leaders. I had my share of experience with ungrateful people. When I took up leadership position during my times in Campus ministry, I faced many accusations, saying that I was not caring enough. This was unjustified as I spent most of his time sacrificing my personal time to shoulder a heavy responsibility and workload for the larger body; resulting in a lack of time for interpersonal relationship building. I sometimes wished my responsibility was as low as many others and I could afford more time to 'chill with others' which others interpreted as 'personal and caring'. 2000-2001 was one of those most challenging years of his life of serving in NUS. As I was taking over the leadership of 180 people and 20 key leaders in the midst of an intense nation-wide campaign, 10 of the leaders wanted to leave. I was disappointed as this meant a lost in morale of all the members at the very beginning of the "major campaign". They had many interesting reasons for leaving which were not consistent with the high level of commitment they portrayed prior to the leadership handover. I wished they would say it simply that 'they are leaving because of the change of leadership'. Recalling the servant leadership as exemplified by Jesus, I felt like Jesus during those tough times, being in a state of physical and emotion anguish. Just like Jesus, I would very much like for the cup of suffering to pass from me. But just like Jesus, I declared that "not as I will but as You will" (Matthew 26:39). The journey of suffering in the footsteps of Christ strengthened me and was a test of my tenacity and commitment. If no one pay the price, I shall! A consistent prayer that my church ministry had in my first year in NUS was that a cell-group would be established in every faculty and hostel in the university. However, I came to be increasingly disturbed with the prayer that was not backed up by any actions and as the days dragged past, the condition remained the same. There were still no cell groups in the many hostels in NUS. In 1992, I finally decided to take a greater initiative to fulfill the vision. I applied to stay in Raffles Hall in my second year. Through genuine care for the hostelites, the first cell group in Raffles Hall was birthed. It was around that time when I encountered the orientation committee chairman of Eusoff Hall. When he was invited by me to join the pioneering of cells in NUS hostels, he at first declined saying that his heart was in Eusoff Hall. But he was challenged to a greater vision, of planting cells not just in one hall, but in halls all over the university. In 1994-95, he helped planted the Eusoff Hall and Temasek Hall cells. Then I continued to challenged others and eventually guided them to start cells in 95-96, King Edward VII, in 98, Kent Ridge and Sheares. However it did not stop there. I led the team to provide pastoral care to different ethnic groups. In 1999-2000, the PRC cell was birthed, following that the Indonesian cell. At one point, there was even Indian and Vietnamese cell running. I realised that staying in our comfort zone is usually the default of most people. This is why many do not attempt the impossible and see them come to pass. How then can we learn the lesson of pioneering? In Numbers 13, twelve leaders were sent to explore the land of Canaan. The best, the sharpest, the most courageous leaders were selected for this important task. Yet when they returned, ten of these leaders came back with daunting reports. They gave Moses this account: "We went into the land to which you sent us, and it does flow with milk and honey! Here is its fruit. But the people who live there are powerful, and the cities are fortified and very large. We even saw descendants of Anak there. Believing the reports of these ten leaders, the Israelites grumbled against Moses and Aaron, forgetting already that God had delivered them from Egypt, the place where they suffered terrible persecution. Only Caleb and Joseph had faith and believed that victory was possible because the Lord was with them. Then Moses and Aaron fell facedown in front of the whole Israelite assembly gathered there. Joshua son of Nun and Caleb son of Jephunneh, who were among those who had explored the land, tore their clothes and said to the entire Israelite assembly, "The land we passed through and explored is exceedingly good. If the LORD is pleased with us, he will lead us into that land, a land flowing with milk and honey, and will give it to us. Only do not rebel against the LORD. And do not be afraid of the people of the land, because we will swallow them up. Their protection is gone, but the LORD is with us. Do not be afraid of them." The ten leaders were struck down because of their faithlessness (v 36) and the Israelites subjected to forty years of wandering in the desert. What were the failings of these ten leaders, who though entrusted with the heavy responsibility of surveying the land, fell so completely? These leaders were aware of the fruitfulness and abundance of the land. In fact, they reported according. However, things became terribly wrong with the word ‘But’. But the people who live there are powerful. But the cities are fortified and very large. But we cannot possibly win them. Seeing only the ‘buts’, these leaders closed their eyes to the goodness that God had in store for them. 13:31-33 But the men who had gone up with him said, "We can't attack those people; they are stronger than we are." And they spread among the Israelites a bad report about the land they had explored. They said, "The land we explored devours those living in it. All the people we saw there are of great size. We saw the Nephilim there (the descendants of Anak come from the Nephilim). We seemed like grasshoppers in our own eyes, and we looked the same to them." They saw only impending doom, only their frailty and their enemy’s seeming prowess. Instead of holding onto the victory that God promised, they saw the destruction that they believed laid in store for them if they entered the land. 14:1 -2 That night all the people of the community raised their voices and wept aloud. All the Israelites grumbled against Moses and Aaron, and the whole assembly said to them, "If only we had died in Egypt! Or in this desert! Discouraged by the negative reports of the ten leaders, the people allowed themselves to fall into despair, forgetting that their God who had so faithfully delivered themselves from Egypt would not lead them to destruction. Instead of seeing things with faith and exercising the strength of God, they began to lament and complain against Him and even started wishing for death as deliverance. Taking the step out into the missionary field, into pioneering, is an immense task. If missionaries do not choose to see past the present difficulties and hold on to the promise of God, they can easily sink into depression. Rejection, feelings of being unloved, questions and doubts about one’s vision will cause him to fall short of God’s purpose and plans for him. How shall we then equip ourselves in such a way as to have a pioneering spirit, like that of Caleb and Joshua who saw the fruitfulness and abundance and despite being presented with the difficulties, continued to trust in Him? I was forty years old when Moses the servant of the LORD sent me from Kadesh Barnea to explore the land. And I brought him back a report according to my convictions, but my brothers who went up with me made the hearts of the people melt with fear. I, however, followed the LORD my God wholeheartedly. Despite the passing of 45 long years, Caleb continued to hold on to his convictions. The strength and intensity of his passion did not fade with time. In the same way, I spoke to a passionate young leader, Daniel, who shared a burden for the PRCs in 1999 and felt a calling to China. I challenged him to serve the PRCs in Singapore first and through this period, his passion never wavered. Daniel was stationed in China since 2003.
v 12: Now give me this hill country that the Lord promised me that day. Caleb continued to sustain his pursuit of his inheritance. Even though the Israelites had by that time already received areas in Canaan as their inheritance, Caleb persevered for the hill country of Hebron. He never faltered or stopped believing in the inheritance that was promised to him. Eventually victory came to him because of his relentless pursuit. Similarly, I never gave up on my vision despite the mockery from people around me nor was I contented after establishing a cell in just one hall, but I continued the cause! Hebron used to be called Kiriath Arba after Arba, who was the greatest man among the Anakites but Caleb was not discouraged by this and courageously strove to take on the strongest fortress. While people around him melted in fear, he believed and trusted in the might of his Lord. Similarly, my foray into foreign territory, surround by people who did not welcome me, taught me the importance of courage, to persevere despite the odds, despite the language barriers and the fears of being ridiculed and unappreciated. v. 12 [...] You yourself heard then that the Anakites were there and their cities were large and fortified, but, the LORD helping me, I will drive them out just as he said." May the Lord remove in us faithlessness; our eyes that lose sight of Him in the face of difficulties. May we receive the strength of conviction, for consistency and sustenance of pursuit, the courage to be stedfast to His Promise as we conquer with Him closely. In my previous article, I shared on how my previous leader, VL, used a 4-phase model to transit her leadership anointing to me. Besides my intense leadership growth through such a wonderful pace-setter, I was also richly blessed. In 2 Kings 2:1-11, when the Lord was about to take Elijah up in a whirlwind, both Elisha and him were on their way to Gilgal. Prior to that, Elijah told Elisha he was going to Bethel but Elisha insisted on following suit. Elijah also wanted to head to Jericho and subsequently to Jordan, but Elisha similarly insisted on coming along. The four blessings are linked to the landmarks mentioned above – Gilgal, Bethel, Jericho and Jordan. Gilgal is significant because this is the place where the Lord has removed away the reproach of Egypt. It was after the Israelites’ arrival from Egypt to Gilgal, that all the shame of Egypt was wiped away. Gilgal is defined in Joshua 5:9 as the place of prosperity. In Joshua’s time, Gilgal was the ‘headquarters’ from which the Israelites launched all their victorious battles. It was a symbol of victory to the Israelites; they prospered in owning land after land. Jacob named Bethel (formerly known as Luz) in Genesis 28:16 after he awoke from his dream. He then announced that if that was the house of God, there would be provision and protection. Jericho has always been a strong fortress, as exemplified in Joshua 6:1 and 20. But God proved himself as stronger than the strongest fortress in the land of Canaan. Jordan was a place where the presence of God could be felt, as shown in Joshua 3: 13. Joshua led the people across the waters, because the water level had dropped till it became dry ground. This miracle happened because the ark of covenant (the presence of God) was with them. What should be our posture of receiving these 4 blessings? In Deuteronomy 21:15, we are told that as a spiritual child, we can inherit a double portion of blessings from our spiritual parent. In 2 Kings 2:9, Elijah gave to Elisha a double portion of his spirit. His anointing and his legacy flowed into Elisha at his departure. Elisha sought Elijah’s prophetic anointing not for personal power or prosperity or even for personal provision. He desired it because it sprung from the parental relationship he shared with Elijah. Without this relationship, the blessings would not have been able to flow to him. It was with his call “My Father, My Father” that the spirit of God rested on Elisha. What if I don't have a religion? You can still look for a man/woman of Character & Competency, learn from him/her with the spirit of HONOR and HONORING. Just as Elisha met Elijah and received the latter’s legacy and anointing (1 Kings 17 - 2 Kings 2), I met a pacesetter in 1991 who put me on the accelerated path to leadership in the church. This person is VL, an NUS 3rd year arts student whose cell I joined in March 1991. God’s hand was evident in our meeting because she received a prompting from God that a male leader would rise up from her cell group days before she met me. VL impacted my life greatly in this period of time. She asked me to join a camp committee for an NUS-ministry in June, which only leaders were involved in. Through that committee, I suddenly became acquainted with almost all 140 of the NUS ministry members. I suddenly became very adept and experienced with the workings of the NUS ministry. As a pacesetter, she knew the right time to empower me. She did it very quickly, accelerating and intensifying my leadership growth and impact. Through it all I became more focused and driven. These are the 4 phases of empowerment that I went through. The first phase (May to July 1991) is characterised by “a gentle whisper”. In 1 Kings 19:9-13, God spoke to Elijah in a cave. 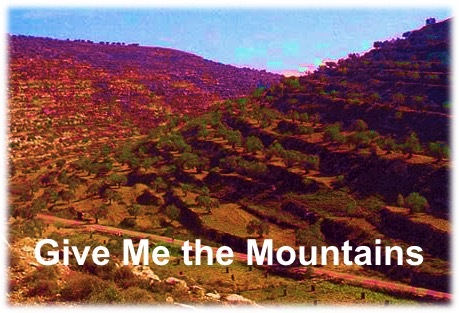 The Lord told Elijah to stand on the mountain in His presence, because the Lord was about to pass by. But the Lord was not in the great powerful wind that tore through the mountains, nor in the earthquake that proceeded, or even in the fire. He was in the final gentle whisper. God isn’t always associated with what is grand and titanic. Conversely, His presence may be experienced in the subtle - in the way VL impacted me. Even if she introduced life-changing events into my life, it would be in her little daily suggestions and prodding that she helped to fine-tune and soften my leadership approach. This was especially important because I had just completed 2.5 years of military service, where the no-nonsense approach worked best. The second phase spanned 4 months, from August to November 1991. Although in March 1991 I already knew that I would become a leader, it was only in August when I was officially challenged to take up a leadership position. However, this was a gargantuan move for me. It was not just about being committed to one single cell group. To me, taking up leadership must be processed in the light of a lifetime commitment. There would be no halfway house for me. I put in much thought and prayer before finally agreeing in November. I caught VL's total dedication to serve others, as we journey strongly together to give our lives. Whatever she did to others, I imitated her. At this point, some of my cell members were a few years my senior. Nevertheless I was inspired by VL’s example. I realised that living a Godly life by His word would transform a person. It would foster respect among peers and even amongst people who are older. With Godly wisdom, there is no age limit. This was what I saw in VL, and I decided to heed the example of my pacesetter by doggedly living a life for God. I started mentoring people who were older than myself. In this third phase, I rose up amongst my peers. The more I lived by the Word of God, the greater influence I had on others. I even managed to teach the entire Bible to my cell group in this short period of time. In 1 Kings 18:22-40, the God of Elijah was pit against Baal, who had 450 prophets. Baal’s prophets failed to ignite the altar. This prompted taunting, that Baal was probably “deep in thought”, or “busy” or “travelling”. Baal seemed “deep in thought” because he wasn’t omniscient. He was busy because he was not omnipotent. If he was unavailable because he was travelling, it showed that he wasn’t omnipresent. But the God of Elijah possesses all three qualities! This God is omniscient, omnipotent and omnipresent. Elijah evinced the power of God by calling down fire onto a wet altar, which none of Baal's 450 prophets could do. Elijah summoned 12 stones, each representing one of the tribes of Israel's government. Elijah further asked for jars of water to fully drench the altar. Then, he stepped forward to pray. Elijah had utmost trust that God would prevail because he knew he was serving God. It was not for personal vanity that he was doing so. There was nary a hesitation or worry. Like Elijah, VL lived differently from her peers. She trusted that the God of Elijah would empower me. She was willing to sit under the teaching I conducted for others in this phrase of 'You Do, I see', watching and observing as I did. In 2 Kings 2:8-14, the analogy of a young man transforming into a father figure is described by Elisha’s transition after Elijah left him. A young man relies on his father for most things, even if he is keen to learn and experiment. But ultimately, there will come a time when he must cast off the cloak of protection and provision to assume the reins, when the father figure departs. All young men must become independent eventually. Like Elisha, VL graduated one day. First, she passed on the “integrity of word and action”. 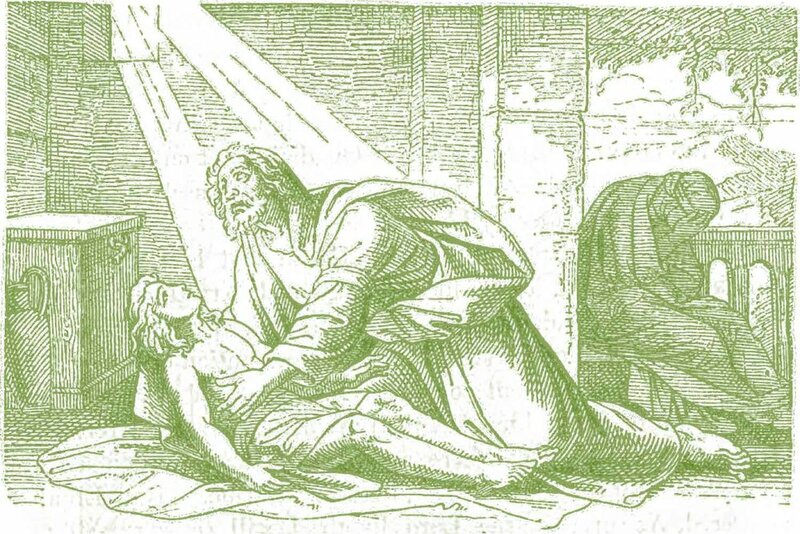 In 1 Kings 17:10-24, when Elijah revived the sick son of the woman who fed him, Elijah assured the woman with his words (food provided) and actions (healing provided) that her son would be saved. It is this integration in Elijah's words and action that I admire, and this was found in VL. To reach out to the unreached people groups, she lived the life they lived, side by side with them - even transforming her appearance to assimilate with them! Secondly, she released life through the prophetic. VL left Singapore to serve the unreached, but before she left, she revealed to me that by doing so, she would be paving the path for me. This would enable me to lead the people of the nations one day. This prophetic word is extremely powerful as I have been doing exactly what she said, over the next 2 decades in her absence! In the next personal article, we shall discover the 4 Blessings from the Elijah-Elisha experience. Note: It is so amazing that as I was intending to post this article this week, I met VL last week; our previous meet up was about a decade ago! 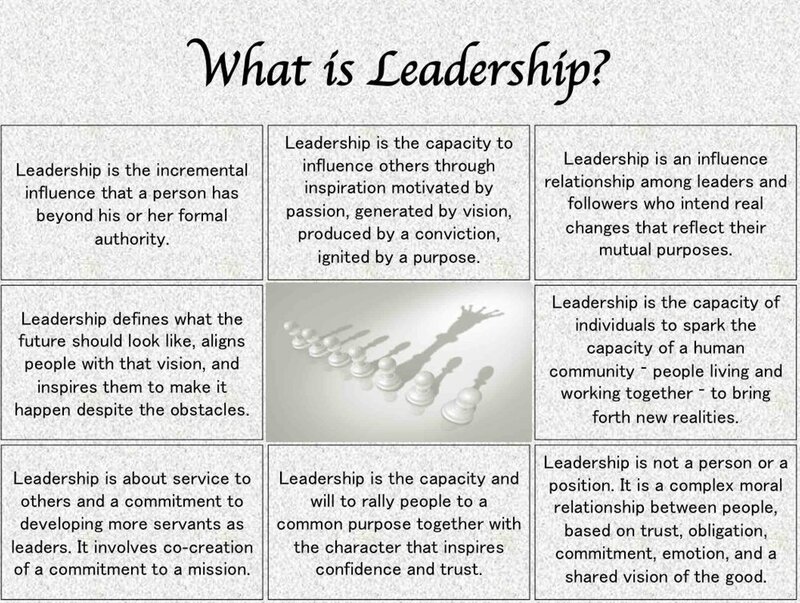 Recap summary of previous post: From Dec 1986 to the year 1991, I transited into a phase of intense leadership development. I called this phase, ‘Don’t Miss the Boat – The Pursuit of Growth’. In all, these years were filled with 4 landmark events, all of which served to equip me in areas then unknown to me. These two excuses are like looking back from the buffalo you are seated on. Such an action will tilt the arc of the plough tilling the soil, making it veer offtrack. The result is a curve. We are created for a high purpose. Giving excuses, even relevant ones, is a sign of falling off track. When the opportunity arises, look forward and go ahead. Stop giving excuses. Do not be lethargic in the status quo, giving explanations to justify stagnation. In fact, the consequence of giving excuses is no growth. But when you take the risks and make decisions, you will be stretched and blessed beyond what you comprehend. With strength, do something! Refer to Proverbs 6:4-11. The consequence of idling, pushing back things that should be done and should have been done, is heavy. An idle person will be robbed of his present possessions e.g. talents, properties, situations etc., thus lapsing into career and/or spiritual impoverishment. With what you have, do something. Then you will receive growth and transformation. The epic story of David and Goliath (1 Samuel 17) exhorts us to start volunteering. Drawing our attention to v. 16 ‘For forty days the Philistine (Goliath) came forward every morning and evening and took his stand...’ We will pause to question. Why was there inactivity of an arduous forty days in a heated time of war? Why were Saul and his commanders giving excuses? What excuses did they give? The Israelites were bowing into the trap of excuses, even when the boat of opportunity struck them at their heels. The boat of opportunity, indeed, was to declare that Jehovah God was mightier than Goliath. Even when they could grow in hope and trust in the Lord God Almighty, they chose not to. But there was David, who gave no excuses in his youth. He engaged, seized and struck the Philistine, knowing that God’s covering was upon him. In v. 32 David said to Saul – ‘Let no one lose heart on account of this Philistine; your servant will go and fight him.’ Here, David volunteered himself. Then in v. 36 he named his courage – ‘Your servant has killed both the lion and the bear.’ Never, never did David give any excuse that the lions and the bears were too formidable to overcome, too implacable an enemy. He never idled when the lion and the bear attacked his sheep. Instead, he fought them. Head-on. To pursue growth, start volunteering. Skill, ability, knowledge, understanding - the means of attaining all these are through initiating. The three mighty men, out of their own will, risked their lives and opened a blood path when David longed for water. From their example, we see not only their faithfulness, but their determination in the frontline of initiation. Do not miss the boat. Specifically, the boat of opportunity. If you truly desire growth, act upon the given chance(s). You will discover yourself in a ship, not guided by the impulse of a free-wheeling compass, but by decision, direction and finally, destination. Which of the four steps do you have to act upon? Don't miss the boat. Get on it and sail on the sea of growth. Recap summary of previous post: Between 1984 to 1986, the Boys Brigade (BB) awed me into a new dimension – the path of discipline, in which there was ‘no pain no gain’. From a life characterized at first by wild abandon and merrymaking, I chose restrain and submission - to be disciplined by the Lord. I fully agree with this phrase, 'Life is about Choices'. Indeed, the good choice of discipline made me grew strong. From Dec 1986 to the year 1991, I transited into a phase of intense leadership development. I call this phase, ‘Don’t Miss the Boat – The Pursuit of Growth’. In all, these years were filled with 4 landmark events, all of which served to equip me in areas then unknown to me. The first landmark event occurred in December 1986, during my post ‘O’ level examination period. My fellow BB senior NCOs went to our BB officer Steven Tay’s house to plan for a BB company camp. This was a watershed in my spiritual life. The company faced the daunting task of preparing activities for the 5-day company camp within 3 days and 3 nights. Brainstorming for numerous games within a pressing time limit was nerve-racking, but undoubtably brought about transformation. Unity and intense prayer for its success saw the presence of God descending upon the campsite, impacting many lives. At one point of time, rioting broke out amongst the campers because of our radical program. The 10 leaders in the making had to handle the crisis. But prayer and pleading to God brought us through – intense planning, coupled with intense crisis, was solved through intense prayer. The result was a wholly God-inspired camp, life-changing and unprecedented in its scope. It was the turning point of 20th BB company. Soon after, when I entered my Pre-University days, I was still passionate and held on to dreams for BB. And within 3-4 years, the 20th BB company had become the best company in Singapore. In those years when opportunities arose, I never had qualms but always confidently held on to these opportunities, and ultimately grew in leadership. The second event followed closely in January 1987. My BB company was lacking a Bible Knowledge, and this boat of opportunity docked on the shores of someone’s life, someone who was to teach the word of God. Fearlessly, I volunteered. I was given the task as Bible teacher to Secondary 1 students for a year. This birthed in me the love for reading the bible. I grew tremendously, reading, immersing in and living out the word of God. No fear, I thought, even though I was teaching students who grew up in the church but I only had 3 years of exposure. This episode of rising up to teach inspired in me a growth, a hunger for the living word of God. Pioneering the BB Open House event was the third significant event in my life. For 2 periods of time in Jan-Apr 1987 and Jan-Apr 1988, I missed 8 months of afternoon lessons to plan for Open House. This inaugural event was to attract neighbourhood youth to join my BB company. Apart from that, the planning over 8 solid months acted as training ground for organizers in areas such as camp crafts, design and layout, band, publicity. This huge amount of sacrifice paid off, not only in the development of personal skills, but also in the growth of the 20th company to a hundred-man strong one. Here, jumping onto the boat of opportunity was the first step to behold greater promises of God in His uncharted seas of growth. The last event of these years was the BB National Bible Quiz. Again, I unleashed the rope of potential and volunteered to train a team to participate in the quiz. In this faith movement, I immersed in the books Numbers, Deuteronomy, Galatians, Ephesians and Colossians; I was clueless on Numbers and Deuteronomy then. The word of God equipped me thoroughly in exceptional knowledge and wisdom. In the quiz, every one of my boys could answer every question immediately. They were destined to be champions. It seemed as if their hard work paid off. However, one of the boys missed the boat of opportunity and was half-hearted in his preparation for the quiz. In effect, the boy’s individual score pulled the entire team's score down to the seventh position. They missed the final round by just one placing. This brought great grief and disappointment. What was more important, however, is the message that this one boy did not pursue growth when given the opportunity – he allowed it to pass him by, rendering himself shortchanged by his own actions. The other well-prepared boys were much better, even than the winning team, as my boys could immediately answer every question when they sat to watch the finals. I joined 20th Company Boys' Brigade (at Bethesda Frankel Estate Church) when I was in Secondary 2. These were 3 formative years in my maturity towards being a leader. In contrast to the impression that most people have about a person belonging to a uniformed group being disciplined, I was the exact opposite. I led an unrestrained life even after joining the BB. What attracted me to join were the unrepressed activities, described to me by my friend after the usual BB parades. The first two years after joining the BB, the yet-to-be-reformed Hee Guan participated in all activities which included stealing sessions, car-racing (without driving licenses), fooling around in cemeteries, disturbing couples at Mt Faber and fishing within restricted areas. All these activities attracted me because I was someone who detested discipline. I felt that by doing the things I liked, I would be like an adult, mature and with the ability to make decisions. In contrast to having confidence and control over mind, which epitomizes adulthood, those actions were childish and irresponsible. The one thing that hindered the acceptance of discipline into my life was my own pride. To me, having to submit to authority and acting upon commands given by others was a disgrace. Therefore I chose an unrestrained life to reflect the apparent control I had over my lifestyle. Yet the correct attitude one should have towards discipline should be an embracing one. Indeed, Proverbs 17:27 states that “A man of knowledge uses words with restraint, and a man of understanding is even-tempered.” The one who shows restraint is the one that displays wisdom. And God will bless those who are faithful and disciplined in keeping the law of God. This point is illustrated in Proverbs 29:18, “Where there is no revelation, the people cast off restraint; but blessed is he who keeps the law”. Humility and the willingness to be disciplined are virtues and a display of inner strength; they will help us strengthen our steps towards maturity. Furthermore, God disciplines those whom He loves dearly. As written in Hebrews 12:10, “Our fathers disciplined us for a little while as they thought best; but God disciplines us for our good, that we may share his holiness”. A lot of times, we may be asked to do things that we do not like but all these train up our discipline. As a BB boy, I was always asked to run errands and wash toilets - those seemingly mundane things I was asked to do toughened me up to be able and ready to serve when needs arise. My learning process of doing things I do not like, but which I know are beneficial to me, is greatly influenced by the immediate culture. The healthy culture in my BB company was such that everyone wanted to be a leader. When I first joined the BB, I was standing on the extreme left of my squad, as the most junior member. From Day 1, I told myself that I would become the squad leader, to stand on the extreme right one day. The squad leader is the person whom squad members take instructions from and look to for alignment and leadership. I termed this as the ‘Right Marker Principle’. The ‘Right Marker Principle’ is a natural culture that shapes people’s minds in wanting to be a leader. I learnt that a culture of desiring to be a leader was a much better ‘teacher’ than others telling us why we should aspire to be leaders. The motivation of wanting to be a leader caused me to be disciplined in completing every task. The twin pillars of the Boys' Brigade is that of religion (i.e. God) and discipline. We should therefore view discipline as a privilege because it trains our ability to take pain. The discipline in our daily lives brings about growth. My own journey of growth was one that was transformed from having an unrestrained lifestyle to learning to do things I did not like (at first). My BB brothers used to run loose on the street to create havoc but through the discipline of the BB, we are now running our own companies and departments to create values to organisations and societies. Thank you BB for my authentic maturity! In this series on 'My Leadership Journey', my Relator talent theme will capture something deep about my personal discovery on a common yet profound word; leadership.